As a wedding photographer, there are certain words that make me get REALLY excited...outdoor ceremony, castle, willow tree, puppy, pink! Kathryn and Chris used ALL of those words while describing their wedding during our initial meeting! Dreams really do come true!! I'm obviously counting down the days until their Whitby Castle wedding next year, but in the meantime, we got to adventure around another amazing castle - New Jersey's own Skylands Manor! 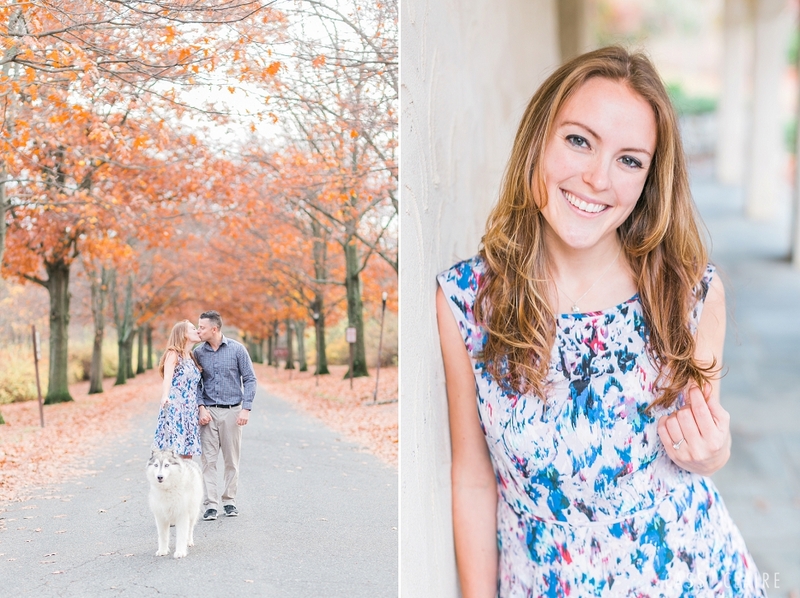 The combination of glowy end of fall lighting and leaves on both the ground & the trees made this session oh-so-dreamy! Kathryn you are so stunning! This timeless B&W of you with windswept hair is one for the family album! want a daily dose of pretty? that specializes in vineyard, estate, and waterfront weddings!